"Coke Had Role in Anti-Obesity Group, Emails Show," U.S. News. CrossFit Level 1 Certificate Courses: CrossFit Morristown, CrossFit Hawaii, CrossFit Soul Miami, CrossFit Jääkarhu, CrossFit Max Effort, CrossFit Glasgow, Reebok CrossFit Officine, Reebok CrossFit 09, CrossFit Herzliya, Reebok CrossFit MeWellness, CrossFit Long, Jauria CrossFit, CrossFit Cidade Jardim. CrossFit Level 2 Certificate Courses: CrossFit SS, CrossFit TNT, CrossFit Getafe Capital Sur, CrossFit Rocks. CrossFit Kids Courses: CrossFit Columbus, Cape CrossFit. CrossFit Level 1 Certificate Courses: CrossFit Strong, CrossFit Verve, CrossFit St Louis Park, CrossFit Silicon Valley, 810 CrossFit, CrossFit SpearHead, CrossFit Laval, CrossFit Da Vinci, CrossFit Parioli, CrossFit Lisses, CrossFit Rocks, CrossFit Ten500, CrossFit Long, CrossFit Posto 9. CrossFit Level 2 Certificate Courses: CrossFit Atlanta, CrossFit Morristown. 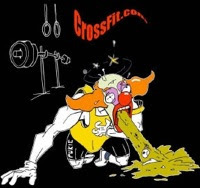 CrossFit Competitor Courses: CrossFit B23, CrossFit Officine. CrossFit Kids Course: I AM CrossFit Coconut Grove. Zane at CrossFit Wichita Falls. "ESPN layoffs will gut the network's production staff," The Washington Post.